Nestled on the campus of the Wilkes Community College in Wilkesboro, North Carolina, MerleFest is recognized as one of the foremost music festivals when it comes to the realms of bluegrass, Americana, roots music, and all other musical forms that tap into tradition. Tracing its origins to the initial efforts of bluegrass pioneer Doc Watson who helped found the festival, the event annually attracts dozens of high-power headliners to its stages. From the acts that graced this year’s line-up — Kris Kristofferson, Steve Martin, Buddy Miller, Rodney Crowell, the Mavericks, Robert Earl Keen, Bela Fleck, Abigail Washburn, the North Mississippi Allstars, Rhiannon Giddens, Peter Rowen, Paul Thorn, the Blind Boys of Alabama, the McCrary Sisters, and the Steep Canyon Rangers — to recurring regulars like Sam Bush, Jim Lauderdale, Donna the Buffalo, Bryan Sutton, Jerry Douglas, Alison Brown, and the Kruger Brothers. The music finds many places to showcase, with no less than eleven stages to entice the tens of thousands of visitors, many of whom attend yearly. Jam sessions are a predominant part of any MerleFest celebration, and the sheer star power suggests that MerleFest is, and always has been, heralded for its unique musical offerings. While it’s achieved international stature, its ties to Wilkes Community College and the local community remain as inseparable as they were when the festival first originated on the college grounds some 31 years ago. Intended originally as a fundraiser for a garden on campus, MerleFest earned its populist appeal from its homegrown vibe and the communal connection its nurtured throughout the years. 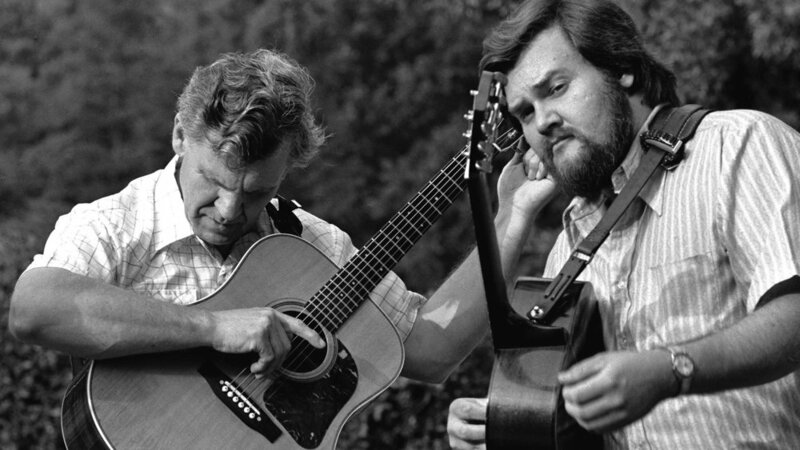 Named for Merle Watson, the son of legendary guitarist Doc Watson, MerleFest is the brainchild of a WCC faculty horticulturist who sought contributions for the garden’s construction. A board member with personal ties to the Watson family approached Doc about performing a concert to raise funds for the project. Watson agreed, but with two conditions — that the event would serve as a tribute to his son who was killed two years before in a tractor accident, and that he would invite a few of his musical associates to take part. College officials agreed, but the organizers did not understand what would ensue from that point on. Not only did his famous friends — Chet Atkins, Marty Stuart, Grandpa Jones and other members of the Grand Ole Opry elite — come in to perform, they did it for free. Envisioned originally as a two-hour concert, MerleFest became a mini festival that attracted 2,500 people that first year alone. The late Watsons: Doc and Merle. From those auspicious beginnings, MerleFest has become Wilkes Community College’s primary annual fundraiser, not to mention a foremost gathering for bluegrass, folk music and traditional music as performed by world-renowned musicians whose styles vary from vintage to contemporary. Since completing that first mission — to raise the money needed to create the Eddy Merle Watson Memorial Garden of the Senses — the festival has funded the school’s scholarship program, new technology, ongoing training initiatives and many capital projects that have helped expand campus facilities and enhance the college’s curriculum. The festival also has profoundly impacted surrounding communities, especially as relates to economics, tourism and cultural connections to the legacy of the Watson family and, generally, Appalachian heritage. According to the latest tally from Appalachian State University, with whom WCC partners as independent auditors, the event has brought some $13 million in revenues to the surrounding northwest regions of North Carolina and $7 million to Wilkes County alone. That sum includes the financial benefits reaped by the 75 not-for-profit civic, community, student, athletic, church and campus organizations that raise monies through food and beverage sales, overseeing parking and camping facilities, performing trash pickup, shuttle operations and ushering attendees. In 2017, the amount collected by these local charities totaled more than $583,000 alone. The event has brought some $13 million in revenues to the surrounding northwest regions of North Carolina and $7 million to Wilkes County alone. Additionally, the North Wilkesboro and Wilkesboro fire departments, Liberty Masonic Lodge in Wilkesboro, Veterans of Foreign Wars Post 1142 and Wilkes Family YMCA have all generated revenues by managing campgrounds and providing parking lots for festival attendees. “It’s a win-win for everyone,” insists Ted Hagaman, WCC’s Executive Director of Events and Hospitality, and the person who has overseen operations at MerleFest for the past dozen years. “The college benefits from the funds we raise, but the community also benefits from tourism and the money that visitors circulate back into the local economy.” The effects are especially evident in the nearby towns of Boone and Jonesboro where festival performers and participants secure much of the local lodging. Hagaman said in 2017, the most recent year data was collected, 83,075 people attended MerleFest. That number reflects the steady growth the festival has enjoyed since its inception. The demographics for the festival also indicates its broad appeal with visitors coming from 48 states and 11 countries. There are many ways to show the significance of MerleFest here, most having to do with bringing the region greater recognition and additional tourism that might have eluded it otherwise. “We help market the area to the world,” Hagaman suggests, adding that MerleFest has become a significant part of the Chamber of Commerce’s presentation at national tourism trade shows. It helps underscore the area’s other attractions, enticing first-time visitors to experience the area’s scenic wonders, its recreational opportunities and its budding wine industry. Hagaman said he knows of several families who discovered the region after first attending MerleFest and then moved to the area later on. In a broader sense, the festival has helped underscore the culture that has been such a vital part of the region since early on. 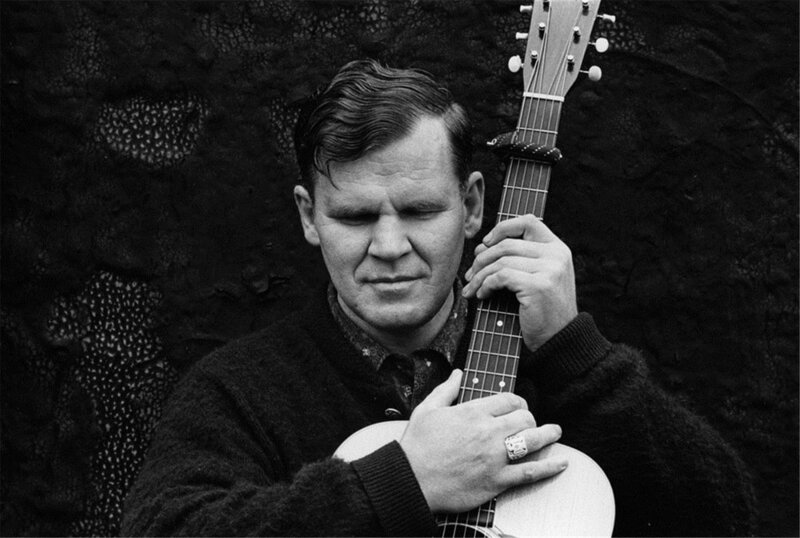 An outgrowth of that ongoing appreciation is found in the enduring legacy of Doc Watson himself. Virtually every performer on every MerleFest stage speaks of Watson’s influence on their careers, often while offering personal anecdotes about how he impacted them. Without question, Doc’s presence seems to loom large everywhere. Highway 421, leading from Boone to Wilkesboro, is named the Doc and Merle Watson Highway, and a life-size statue of Doc adorns a public park in Boone’s city center.